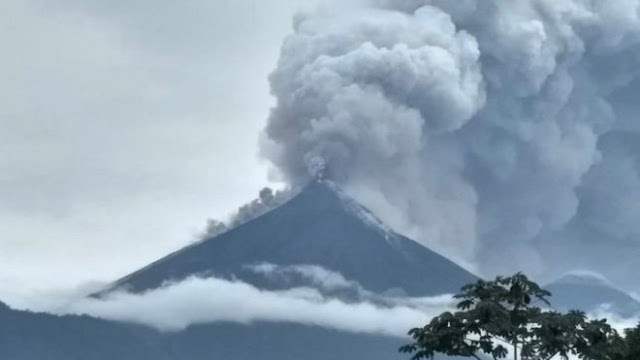 Vatican News Released: Pope Francis said he is praying for the dead and for all those affected by a powerful volcanic eruption in Guatemala in which at least 69 people have died. A telegramme addressed to Archbishop Nicolas Thevenin, the Apostolic Nuncio in Guatemala by Vatican Secretary of State, Cardinal Pietro Parolin on behalf of the Pope, said Francis was “deeply saddened to learn of the news of the violent eruption of the Volcano of Fire, which has claimed numerous victims, caused enormous material damage and affected a significant number of people who live in the area”. In it the Pope said he is praying for the eternal repose of the deceased and conveys his condolences to family members mourning the loss of their loved ones.